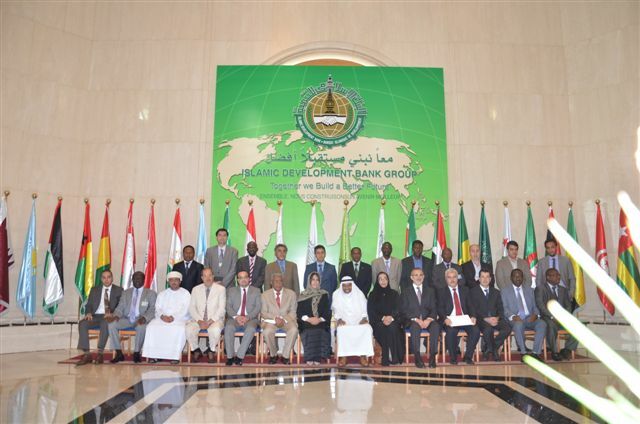 The meeting was attended by the major regional organizations involving OIC member countries represented, including Gulf Cooperation Council (GCC), Economic Cooperation Organization (ECO), Common Market for Eastern and Southern Africa (COMESA), League of Arab States (LAS) and Arab Maghreb Union (AMU). In addition to the major regional organizations, relevant OIC institutions, including SESRIC, ICDT, COMCEC Coordination Office, ICCIA, and OIC General Secretariat also participated in the Meeting. The Centre was represented by Dr. Kenan Bagci, Researcher, in the meeting. In the opening session, the President of the IDB Group, H.E. Ahmad Mohamed Ali, welcomed the participants and delivered a short speech on the importance of enhancing trade among the member countries. He stressed the real mission of IDB as enhancing cooperation in all fields and stated that there are great room and potential for trade among the member countries. He also added that together we can achieve the goal of 20 per cent settled for intra-OIC trade. In his opening remarks, Dr. Ahmet Tıktık, the Vice President of Corporate Services, also stressed the importance of enhancing inter-regional trade among the member countries. After the opening session, the participants deliberated on a number of important issues under different themes, including recent regional initiatives and trends and priority sectors to catalyse inter-regional trade promotion across regions. As a result of the deliberations, the meeting came up with a number of ideas and proposal for enhancing inter-regional trade. The participants agreed to establish a working group to follow-up the implementation of the recommendations of the expert group meeting.